Busy Weekend Across the Region – And Beyond! If you are a racer or fan and you are looking for something to do this weekend, don’t fear, you have plenty of options! Two sanctioning bodies are holding their annual awards banquets on Saturday within the province of Nova Scotia. 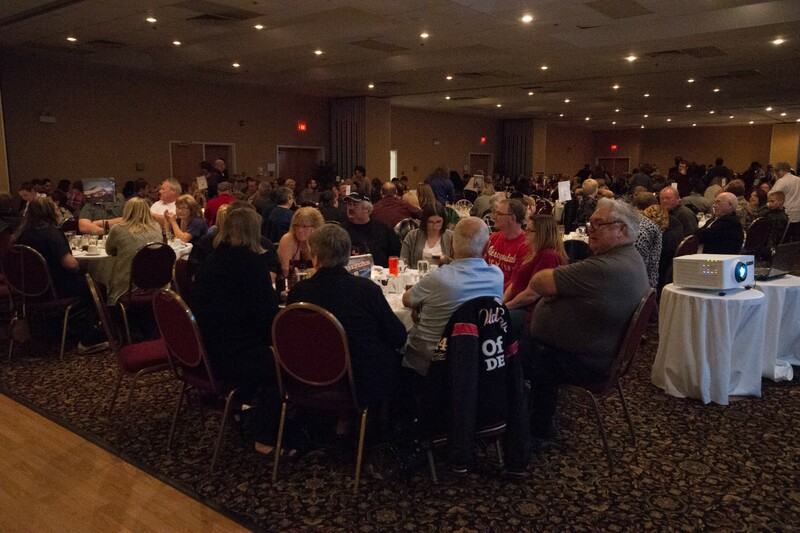 This year, the Parts for Trucks Pro Stock Tour is holding their annual Awards Gala at the Holiday Inn Harbourview in Dartmouth, Nova Scotia. The last time the venue held the event was in 2009 and is the third time Dartmouth has hosted the banquet. The event is expected to be at full capacity Saturday night when the dinner begins at 7pm, followed by the awards ceremony and dance with DJ Chad White. Donald Chisholm won his first championship with the series in 2015. In Sydney, Nova Scotia, the combined NAPA Sportsman Series and Cape Breton Miners Memorial Speedway banquet will be held at the Hearthstone Inn. This is the first time the track has held a post season celebration. Dinner begins at 6pm with the awards ceremony to follow at 7pm. Kyle Reid (NAPA Sportsman Series), Vance MacDonald (Street Stock) and JR Lawson (Mini Stock) won championships at Cape Breton Miners Memorial Speedway in 2015. Cape Breton Miners Memorial Speedway is also one of two tracks to host rules meetings for the upcoming 2016 season on Saturday. The Sydney oval will host their meeting between 1pm and 4pm at the Hearthstone Inn. Petty International Raceway will also be hosting rules meetings on Saturday at the Maritime Motorsports Hall of Fame in Petitcodiac. The Mini Stock and Women on Wheels division meeting is from 12 Noon to 1pm, the Street Stock teams will meet from 1pm to 2pm and the Sportsman meeting will take place from 2pm to 3pm. Tickets for their annual banquet, which will be held the next week, November 21st, at the Petitcodiac Legion, will also be available at the rules meetings. If you are looking for a place to stop in and shop prior to heading to the Petty Raceway rules meeting, Dave O’Blenis is hosting an automotive/race car swap meet and garage sale at his shop at 2487 Route 106 in Boundary Creek. In addition to the vast array of Pro Stock, Sportsman and Street Stock parts from O’Blenis Motorsports, there are a handful of other sellers expected to set up with parts. The event begins at 9am. 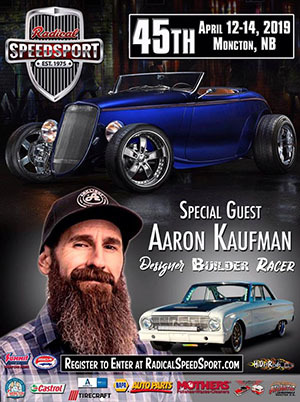 The Guy Show in Halifax, Nova Scotia will see Meehan Racing set up all weekend if you are looking to get some bench racing in with one of the top Legend teams in the region. The team will have both Legend cars on display, driven by brother and sister combination Adam and Emily Meehan of Rawdon Gold Mines, Nova Scotia. The show, in conjunction with the Christmas Craft Village, runs Friday to Sunday at Exhibition Park in Halifax. For two Atlantic Canadians, they will spend this weekend going around in circles to our south. Nicholas Naugle will be taking part in Asphalt Nationals in Anderson, South Carolina at the Anderson Motor Speedway this weekend. Naugle and his Brycon Construction team are 16th in the world when it comes to the INEX Semi Pro Legend division. Naugle has raced in the last two Road Course World Finals with his Legend program and is a regular at INEX Winter Nationals and will look to channel that success to the oval at Anderson. Qualifying for the event takes place Friday and the feature racing rolls on Saturday. Last season, Cole Butcher won the Pro division Race of Champions en route to a 12th place run at Asphalt Nationals, held in 2014 at the Bullring at Las Vegas Motor Speedway. “Down the road” in New Smyrna Beach, Florida is the 50th Governor’s Cup and Placentia, Newfoundland’s Josh Collins will be among the over two dozen drivers looking at taking the prestigious race home. The pre-entry list is stacked with talent, including Ty Majeski, Stephen Nasse, Johanna Long, former event winners Augie Grill, Tim Russell, David Rogers and many, many more. Qualifying for the 200-lap Super Late Model event is on Saturday evening with the feature race taking place on Sunday afternoon. Collins has competed in two World Series of Asphalt events at New Smyrna Speedway and won his most recent race, the Toromont Cat 150 at his home track of Eastbound Park in October. Whatever tickles your fancy this weekend, whether it be a road trip to see some racing or sticking close to home for some racing related events, we hope you have a great weekend!